Recent rate cuts to both prime and fixed mortgage rates will likely have clients considering both fixed and variable rates. Which one will prove to be the best option? "I believe variable rate or fixed term rate is subject to each client's needs and financial circumstances," Angela Wong-Lao of Invis The Money Lady wrote on MortgageBrokerNews.ca. "We cannot use one-size fits all to assist our clients' needs." Talk of variable vs. fixed rates has been heating up following the Bank of Canada’s recent rate cut and one Toronto broker is pushing variable rates in a release to the public. But is that the right move? "This is big news for a market that was not expecting a drop in the Prime Rate today," said Marcus Tzaferis, Chief Economist at MorCan Direct said in an official news release. "As predicted in our last newsletter, the price of oil will have a dramatic impact on mortgage rates this year, and this is probably just the beginning. This is great long-term news for Variable Rate Mortgage holders. 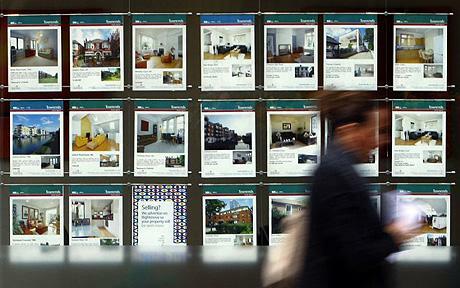 It could also be great news for Fixed Rate Mortgage holders… as long as they act quickly." The advice is contrary to what many brokers are saying – that fixed rates will come down and likely become the most attractive option for homebuyers. Rate talk has ramped up since the Bank of Canada slashed its overnight rate target for the first time since September 2010. The best thing to do is advise your client based on their needs. If a client isn't risky, don't force them into a variable. Some people like the comfort of knowing that payment each month - yes even if it costs them more in interest. I believe variable rate or fixed term rate is subject to each client's needs and financial circumstances. We cannot use one size fits all to assist our clients' needs. I fully agree with sentiments/comments with both J G and Angela.